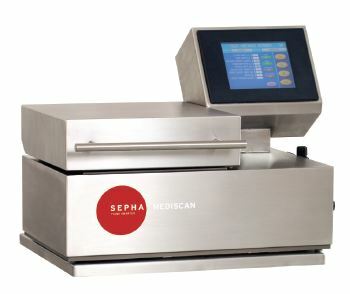 The MediScan leak detection device incorporates the leak detection technology and software, developed by Sepha, that is utilized on a daily basis by top global companies to ensure the product integrity in their pharmaceutical prodction lines. The non-contact method is clean and dry, unlike other destructive leak testing methods (eg Methylene Blue Dye Test), and does not destroy test product or packaging. Automatically stores product-specific data in pre-designated file locations. BlisterScan verifies the product to be tested before each cycle. Capable of detecting weak seals, channel leaks and holes down to 10 micron.